It was one of those lovely days at my studio where everything just fits into place. It was calm outside and I had my favourite opera playing in the background ‘the magic flute’. It’s very easy to lose yourself in throwing and I do find time runs away with you. I always have pieces at several stages of working happening all at once so I get a nice overlap of throwing turning and decorating. 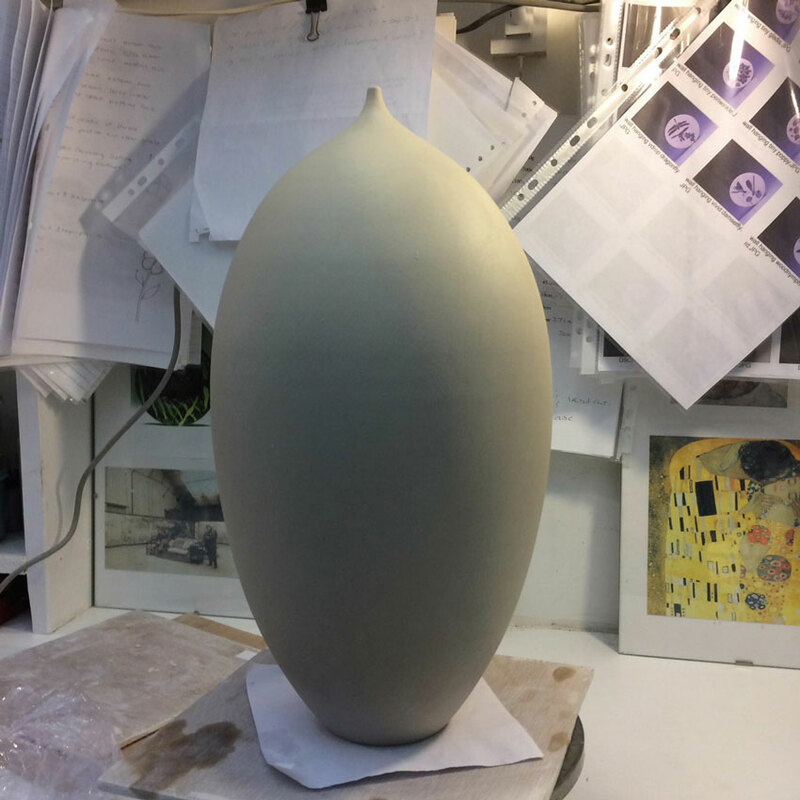 This large form will be decorated for my show at Cambridge with several butterflies and different English flowers. I must admit I’m not the best person to be around while I’m firing my kiln. 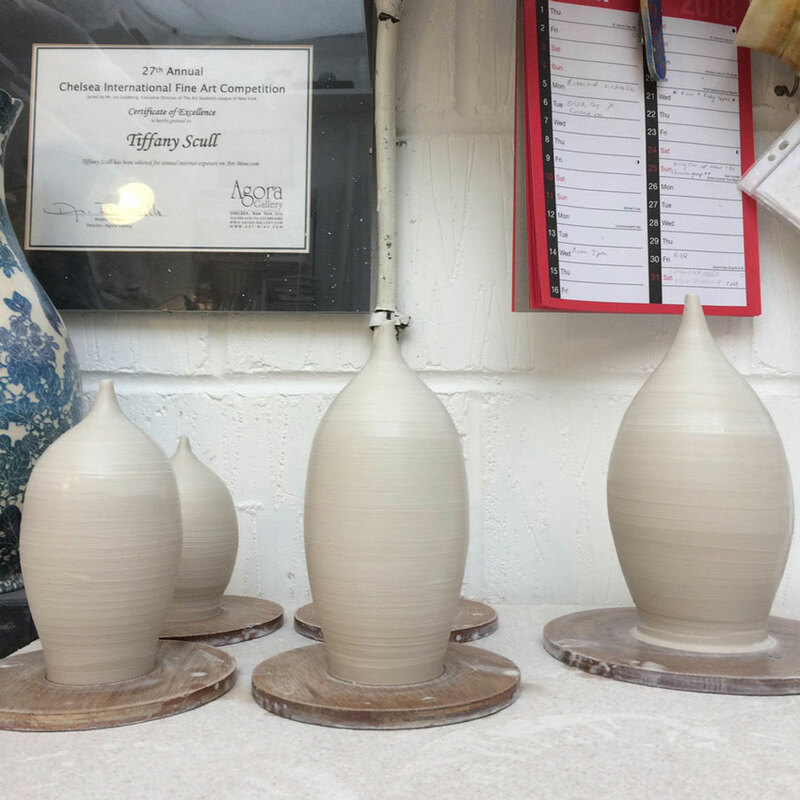 This is a very stressful time for me as all the work has gone into the pieces before they are fired. 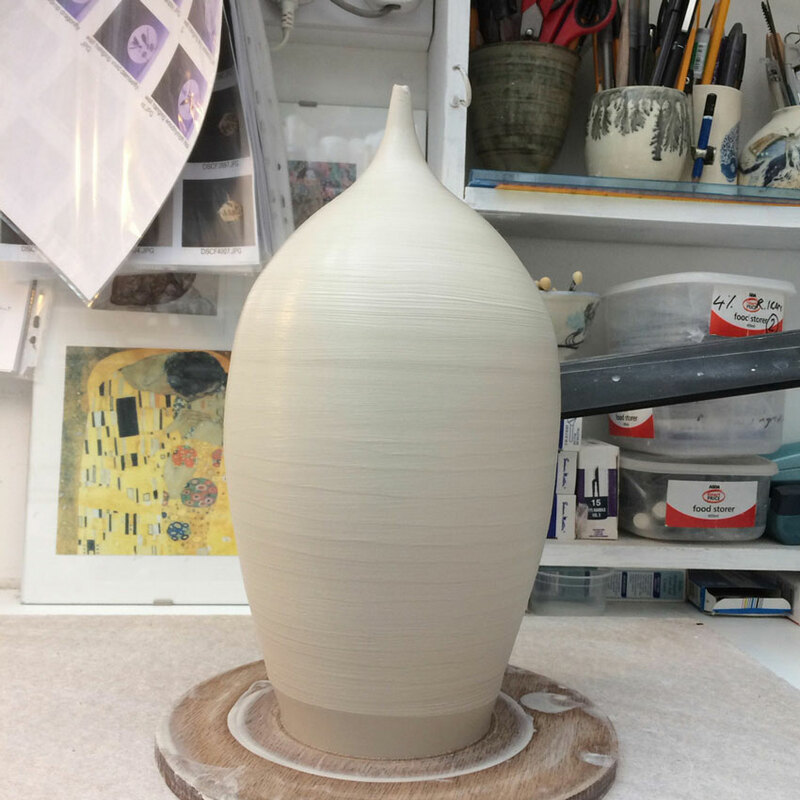 I pack my kiln very carefully and I always follow the same routine which has become a bit of a superstitious ritual giving me an uneasy feeling if I change how I do things even by a little. I have a large electric top loader and probably only fire about 4 times a year. 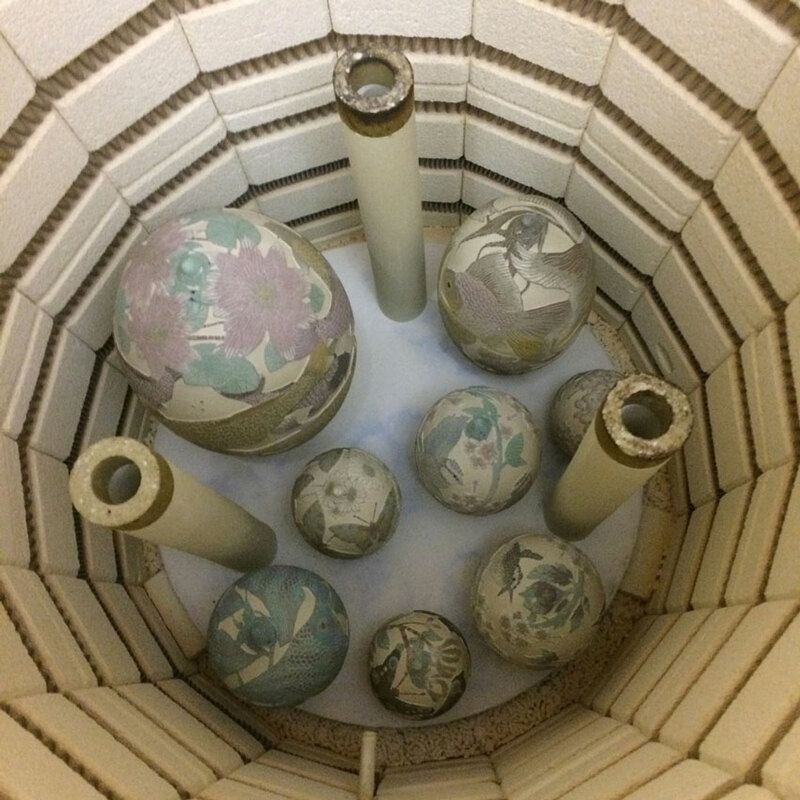 I do a bisq first to 995°c then I selectively glaze each piece and I glaze fire to 1180°c.